The Player's Tribute is a website familiar to many Penguins fans. With articles from Jake Guentzel, Pascal Dupuis, and Mike Lange it's offered a look inside the mind of our favorite players and personalities. Now comes Marc-Andre Fleury with his turn to make us ugly face cry. 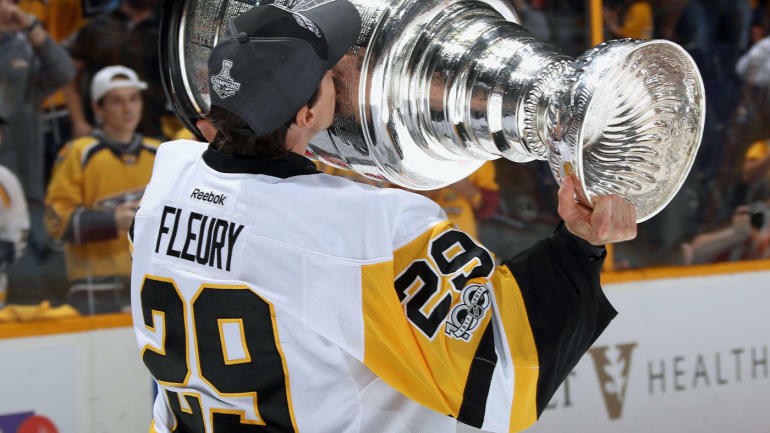 If you thought you were done with the feels over Marc-Andre Fleury's departure, he comes along to tell you that you're wrong and you're about to cry at work with his article "Thank You, Pittsburgh." I wish I could have been in net for my last game as a Penguin. But we raised the Cup, again, and it made all the sacrifices worthy. I felt proud — proud of my teammates for battling through injuries, for showing a lot of character, and for winning two years in a row. I am grateful that I had the chance to contribute to our success through the first rounds. And I feel very fortunate that the last time I have skated with a Penguins jersey, it will have been with the Stanley Cup in my hands. Not that it wasn’t an emotional moment. I remember the first time I stopped Mario in practice. It was a simple warmup shot. But you better believe that I kept that puck — and still have it at home. Mario is a great role model for me — his loyalty to the team, his contributions to the community, how he handles himself and how he and Nathalie raised four great, humble kids. I’ll always be thankful for their support throughout the years. These are but a few of the stories, words, and tales told in Marc's emotional goodbye to the friends, family and fans he made over 14 years in Pittsburgh. Read it, take it in, love him even more. Just do so at your own peril. Your make up may run, your eyes will get misty, and you'll be crying at your desk when you do. It is sad that money destroys loyalty and kindness.